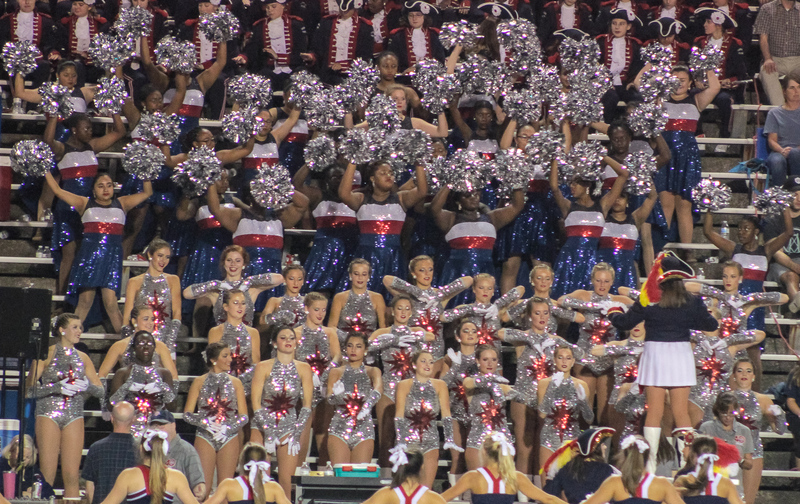 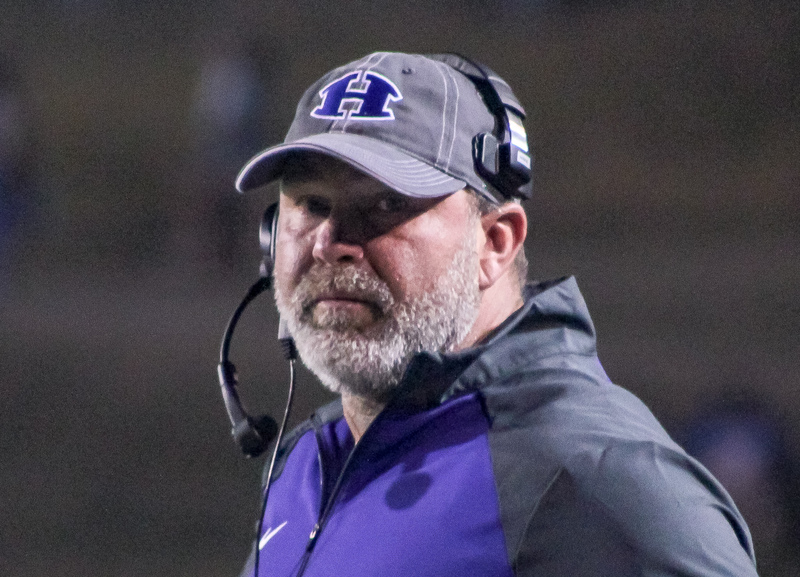 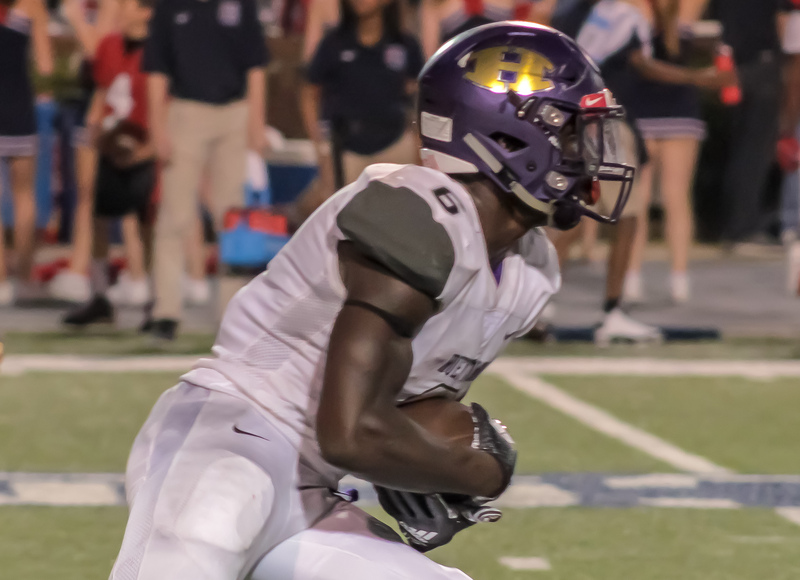 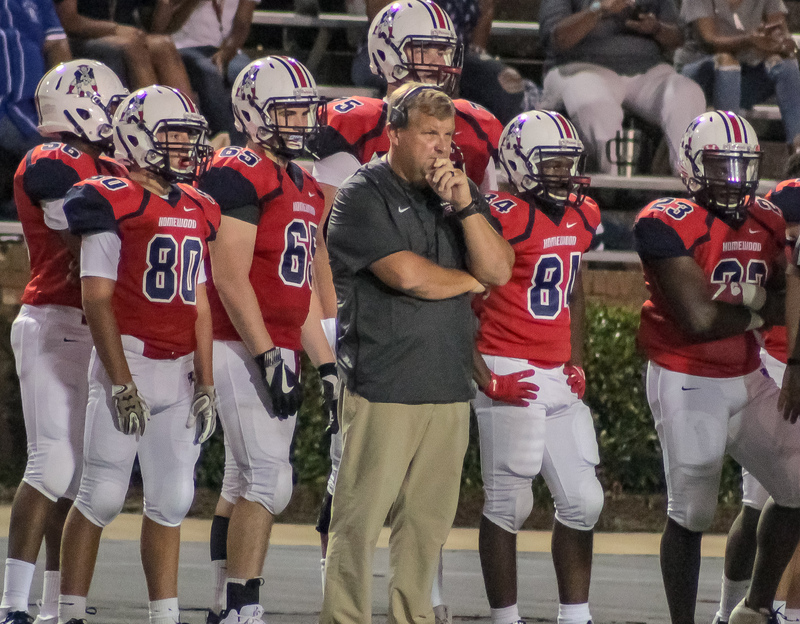 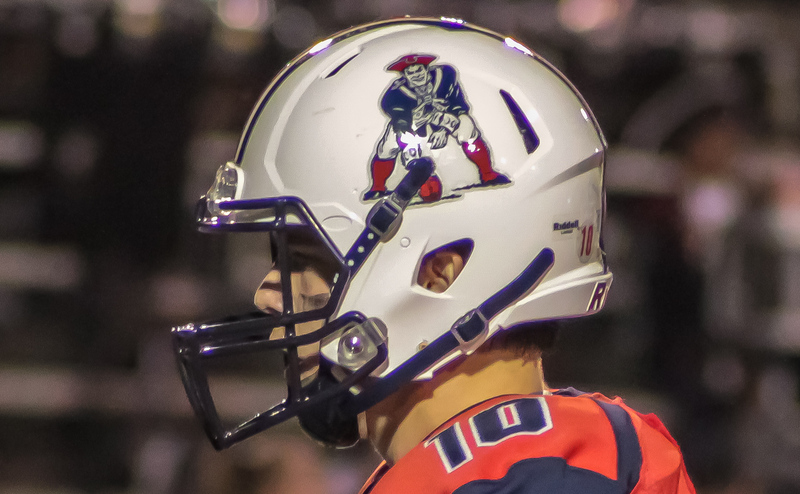 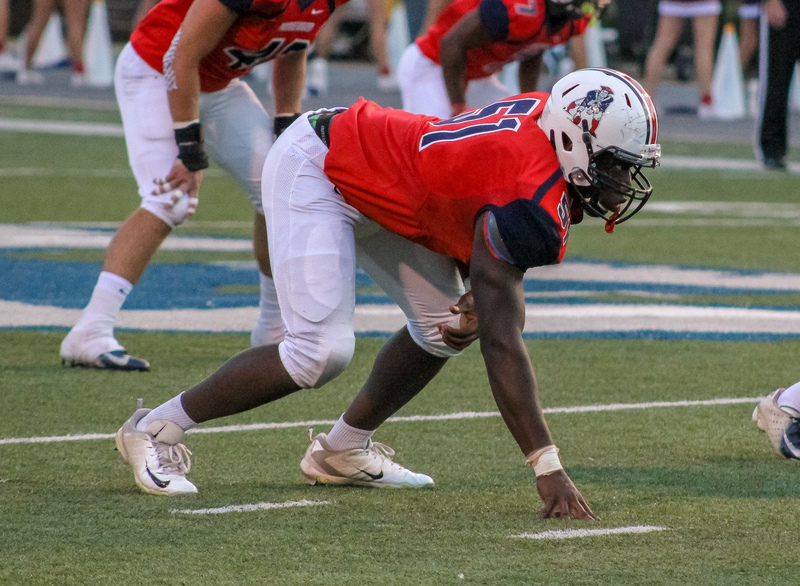 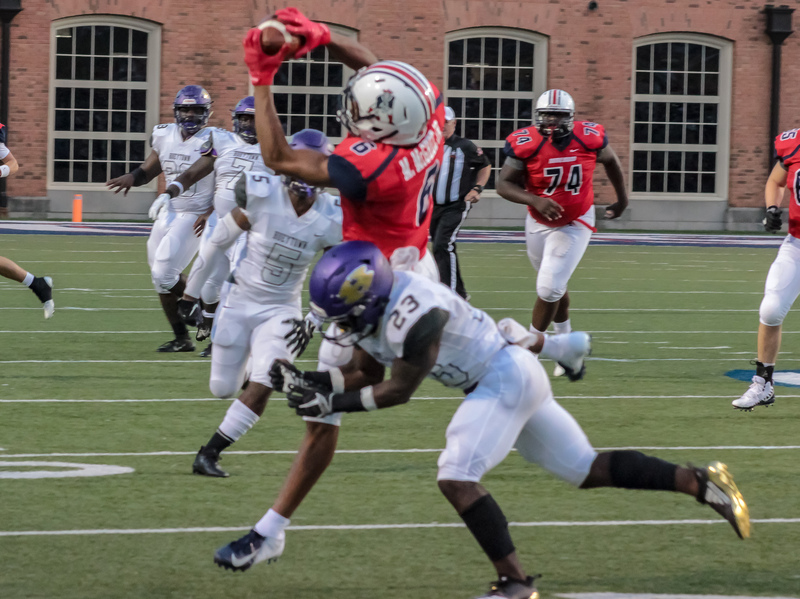 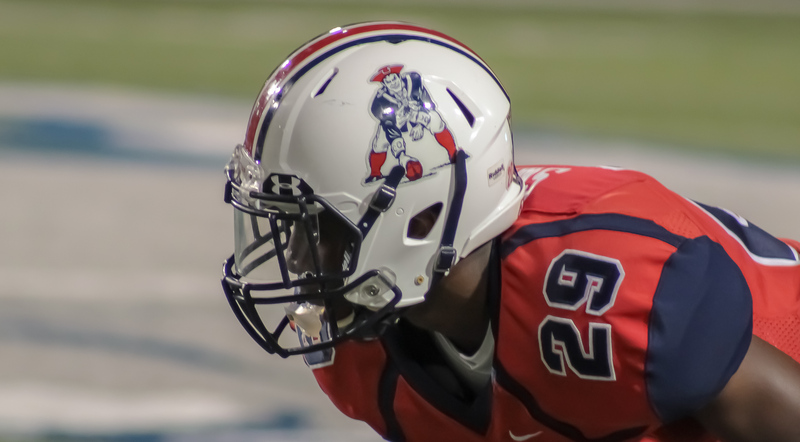 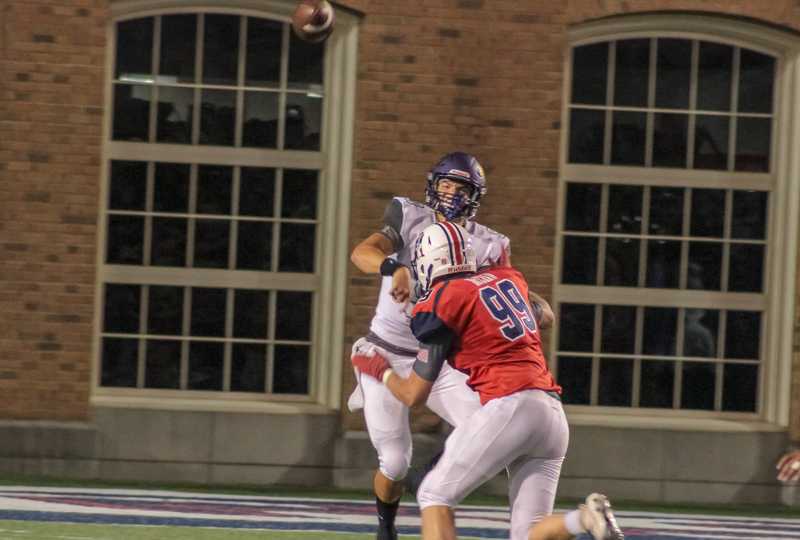 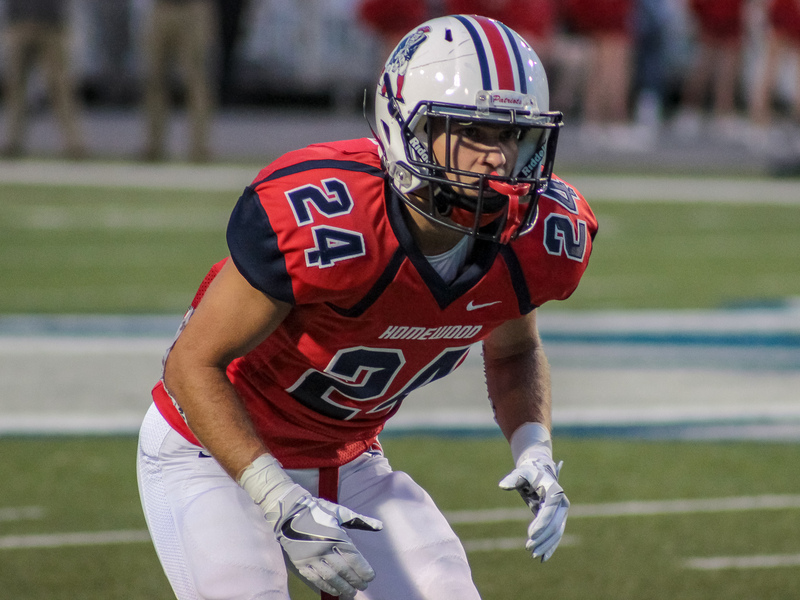 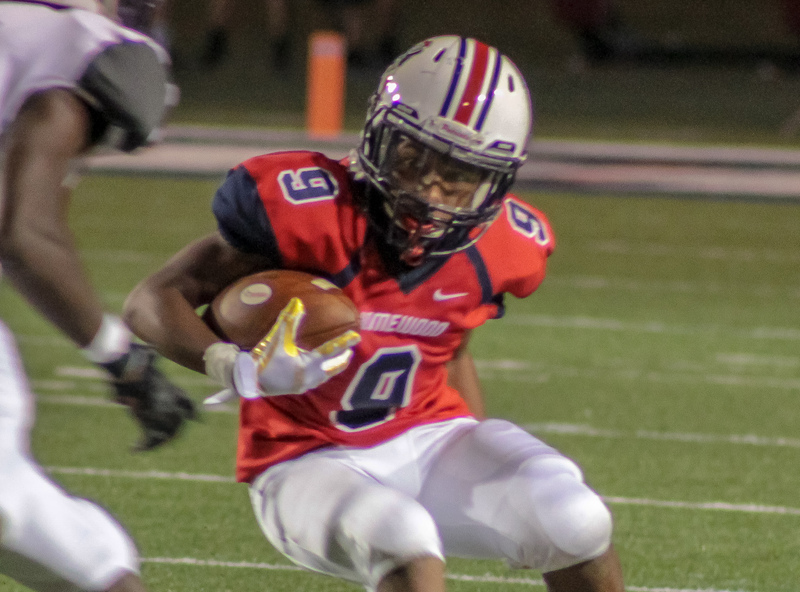 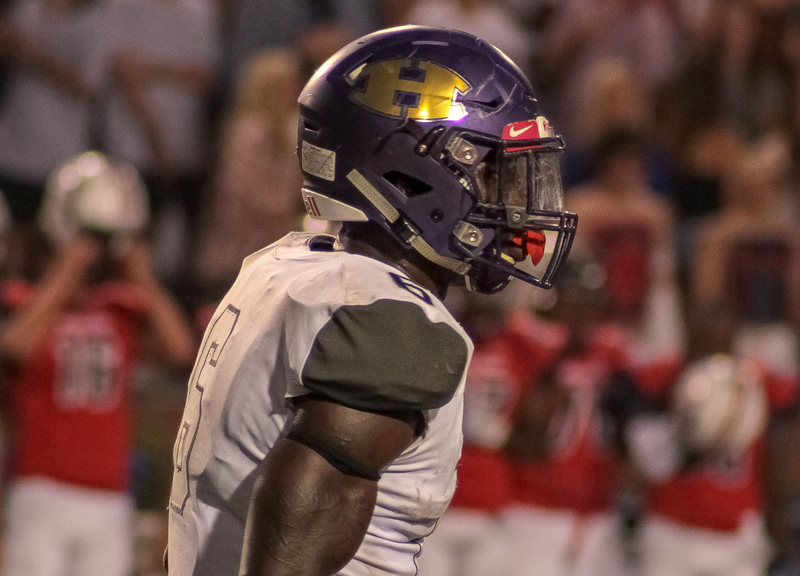 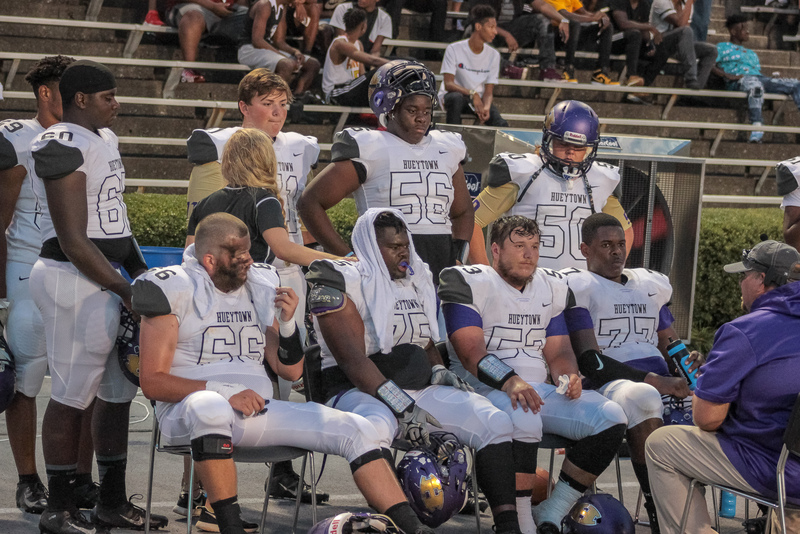 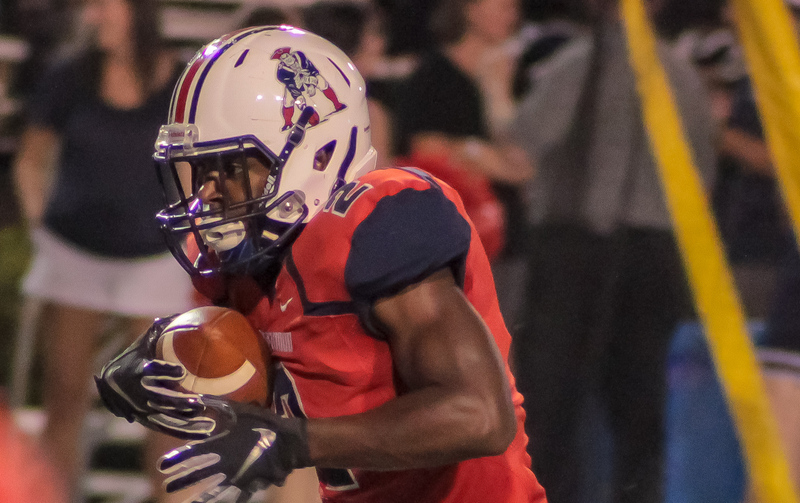 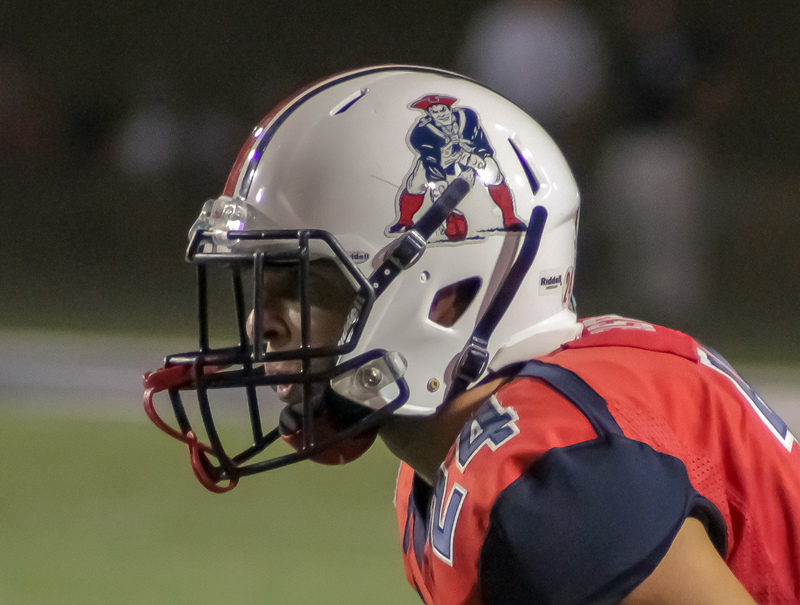 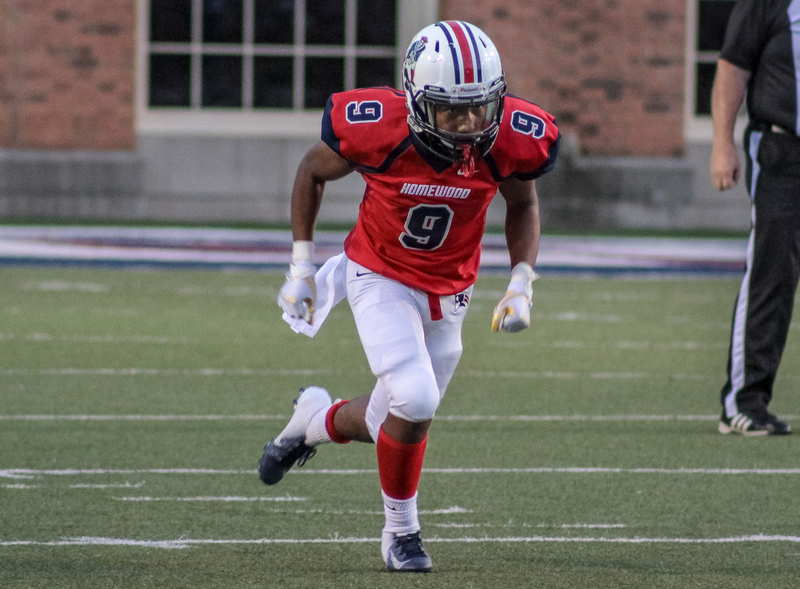 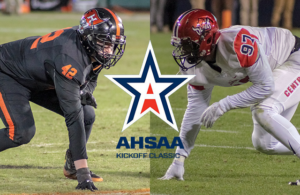 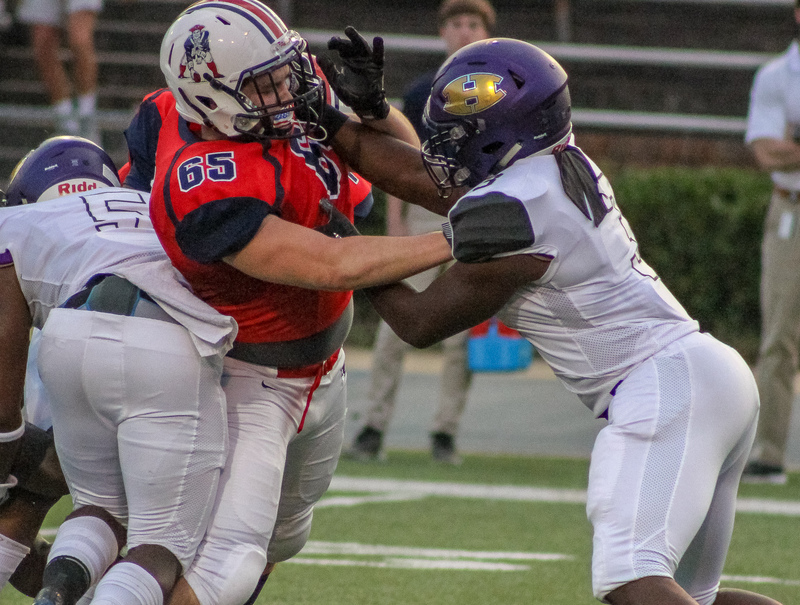 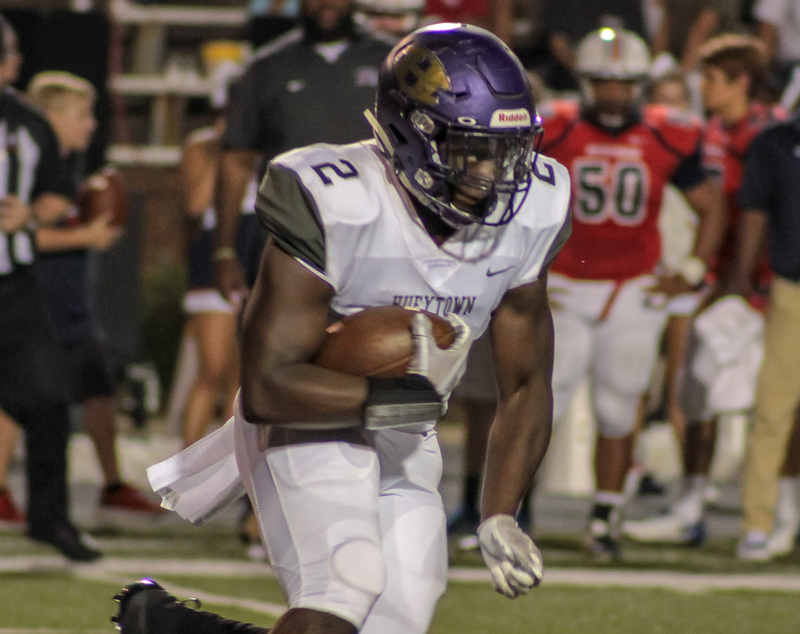 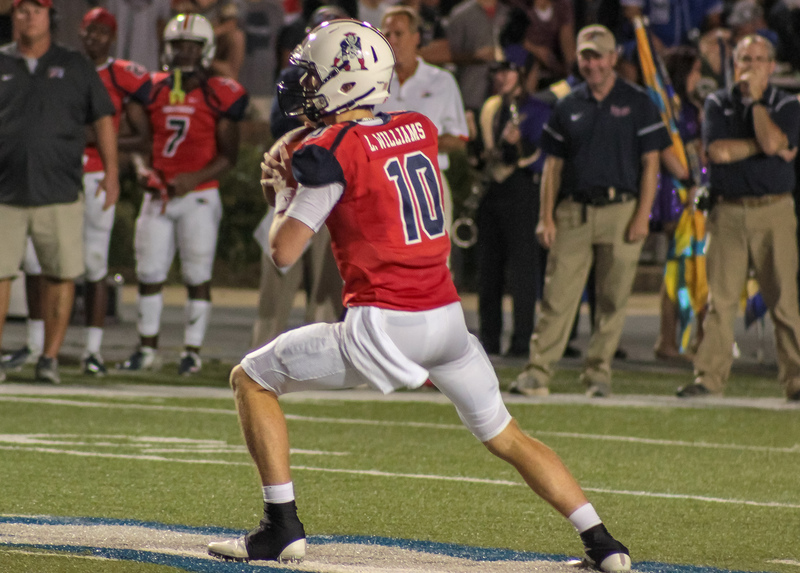 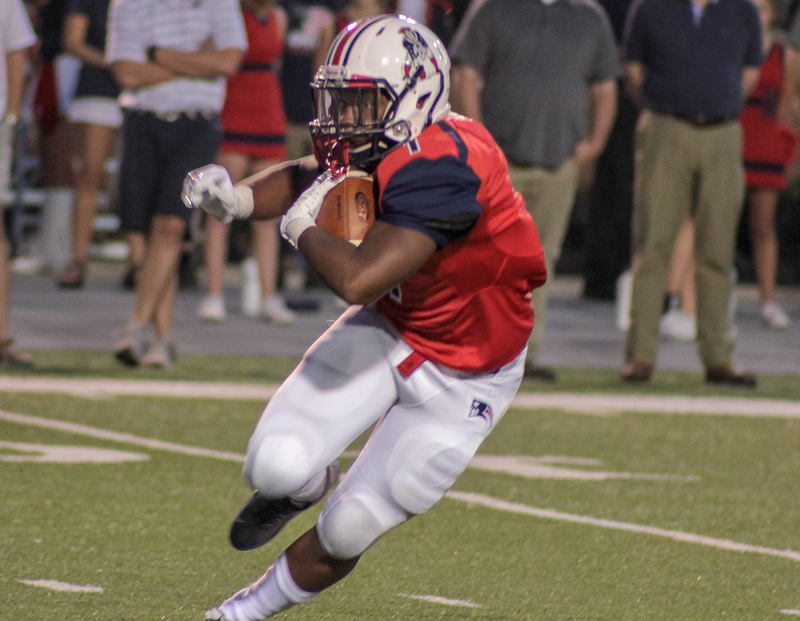 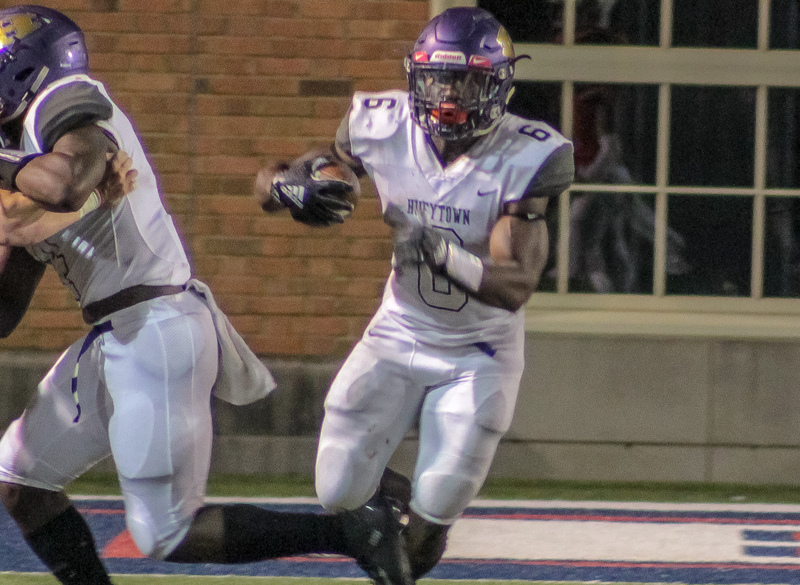 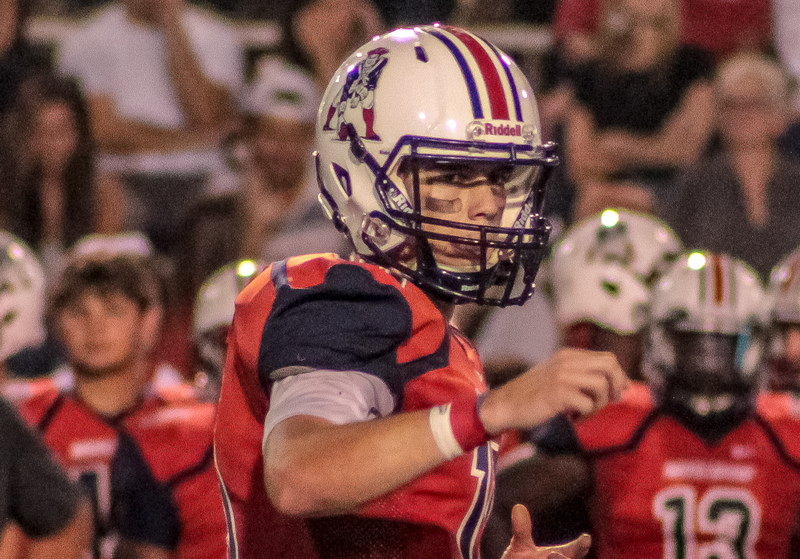 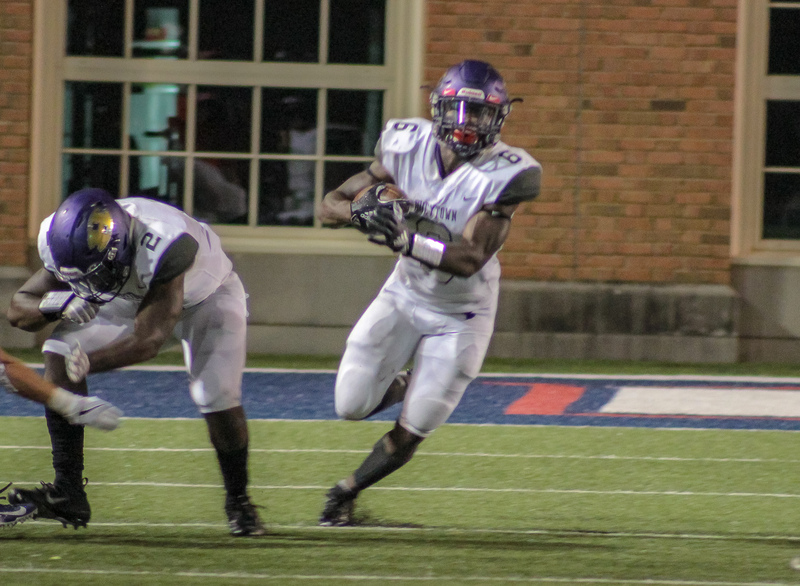 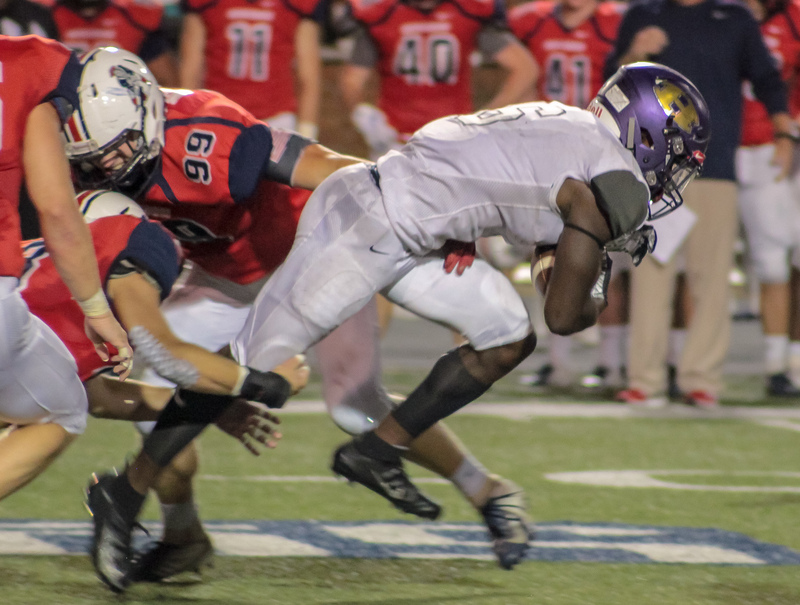 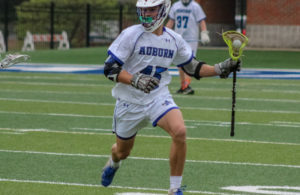 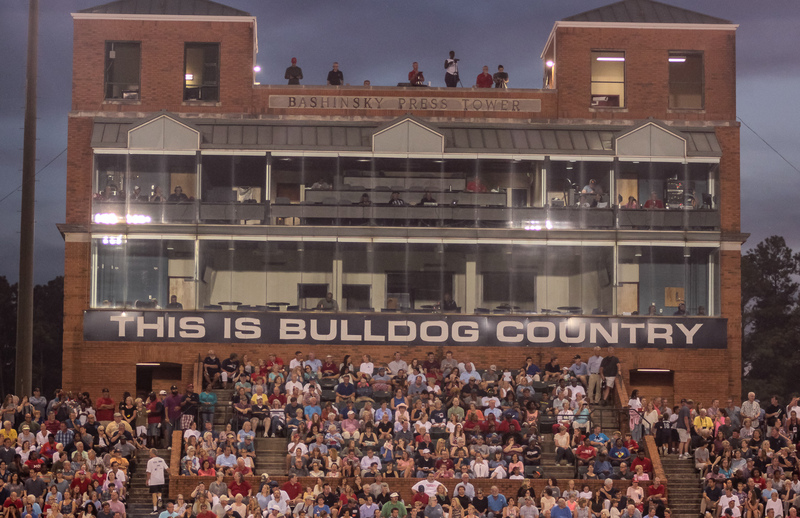 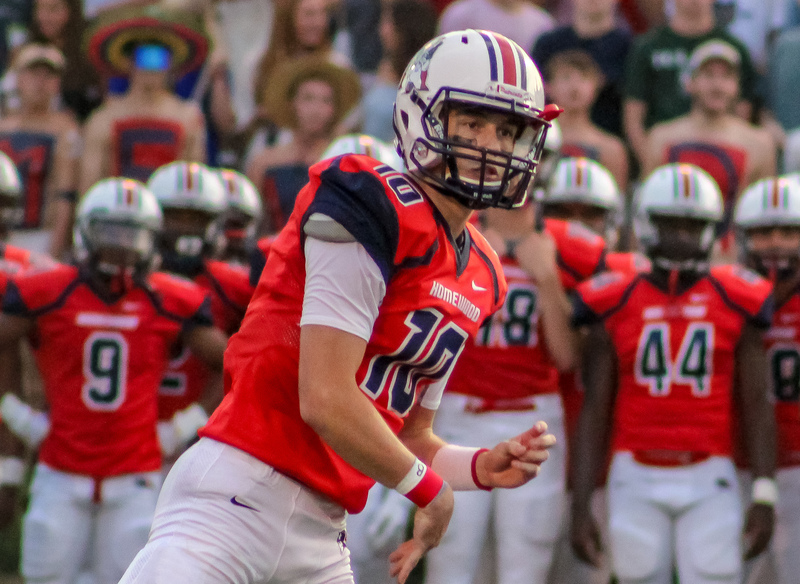 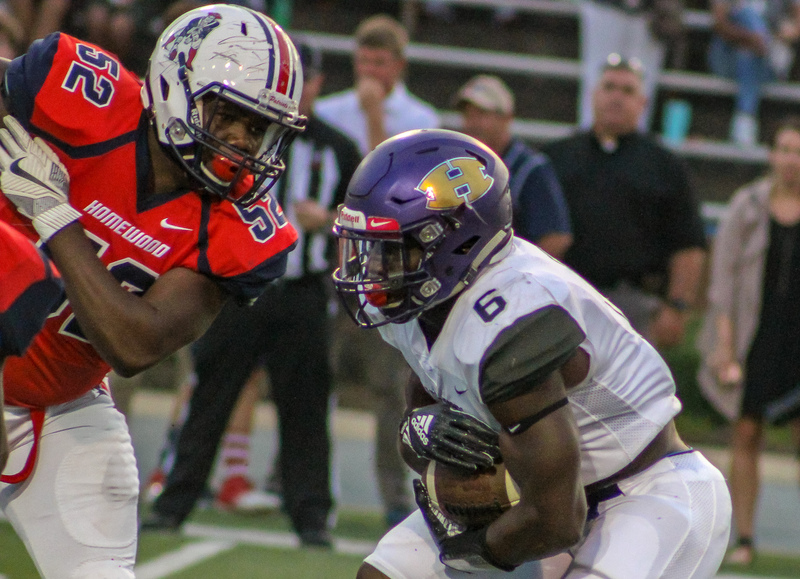 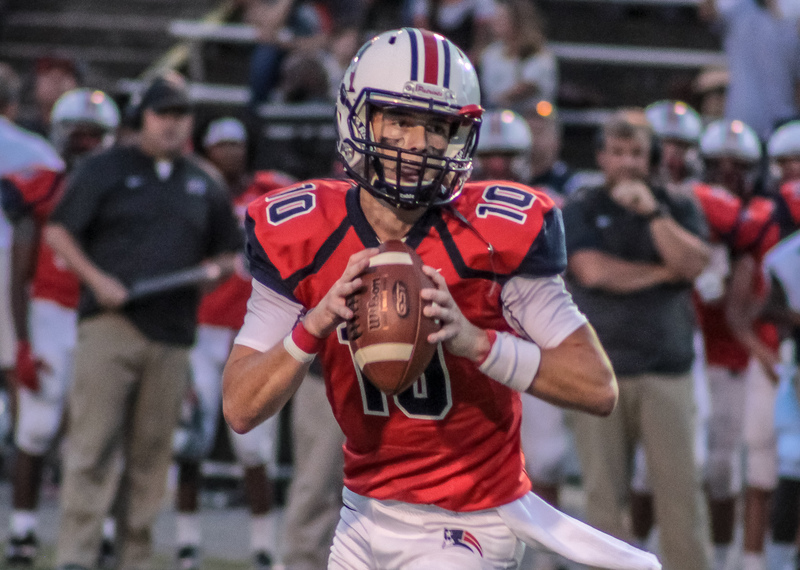 Homewood, AL – The Homewood Patriots kicked-off 2018 with a 18-7 win over the Hueytown Golden Gophers Thursday night in the Hoar Program Management Kickoff Classic at Samford University’s Seibert Stadium. 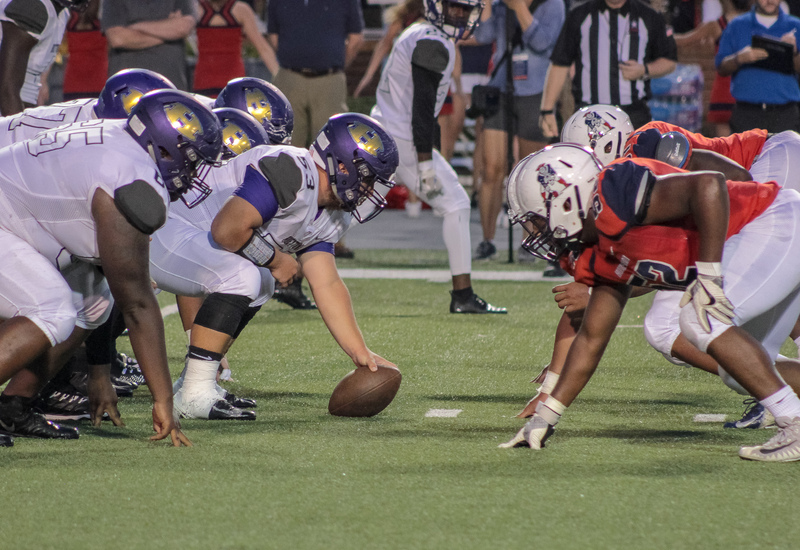 A strong first quarter and a few big plays proved pivital as the Patriots picked up their fourth consecitive season opening victory. 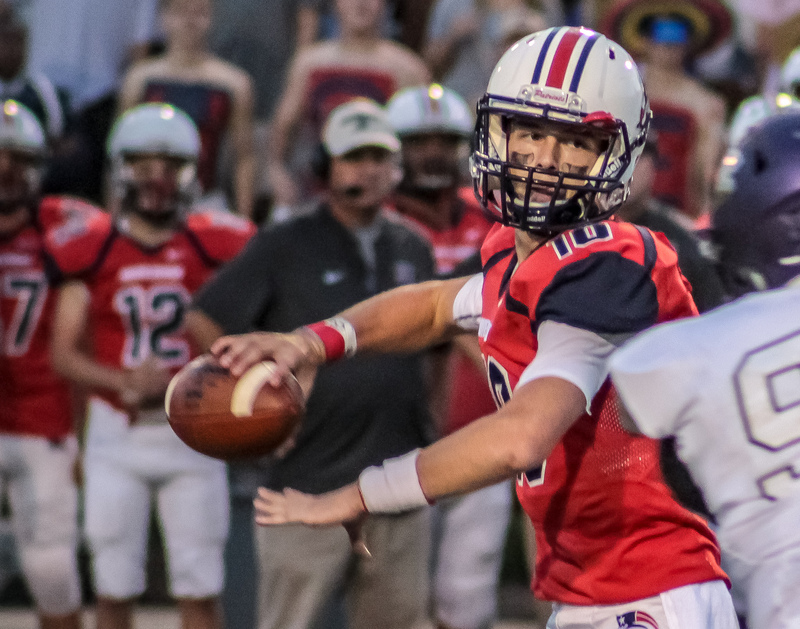 Ben Berguson’s Patriots came out of the gate hot as as quarterback Larkin Williams connected with junior receiver Trae Ausmer for a game opening 64 yard grab. 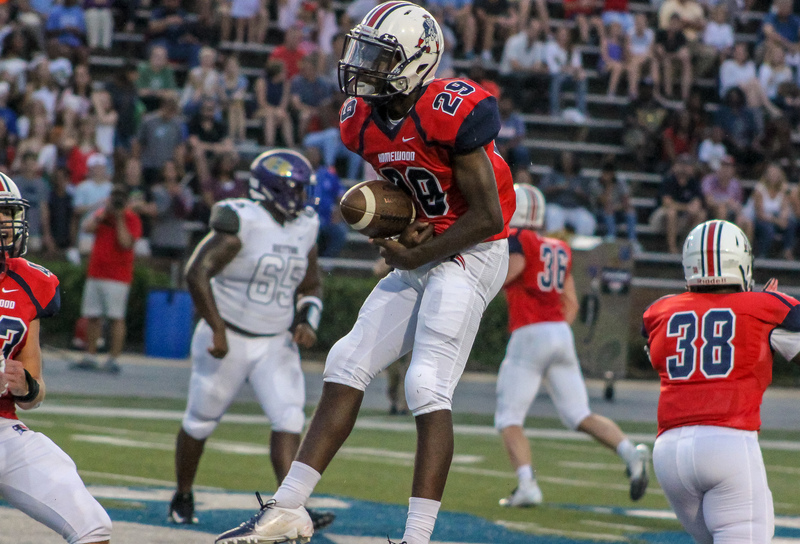 Four plays later, KeOnte Davis bolted into the end zone from seven yards out to put the Pats on the board 6-0 a minute and a half into the contest. 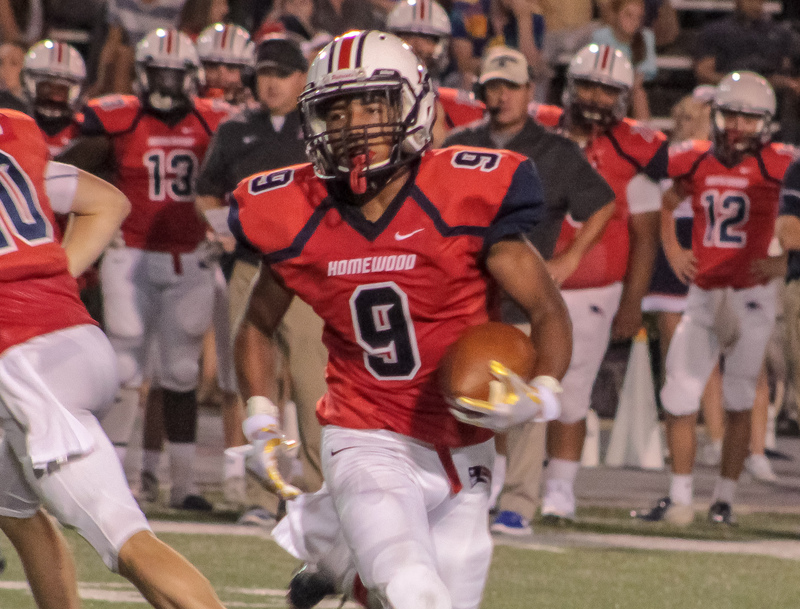 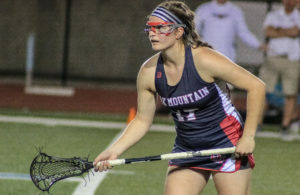 Homewood’s second score of the night came with nine and a half minutes remaining in the second quarter as Wesley Williams took a reverse handoff across the goal line giving the Patriots a 12-0 advantage. 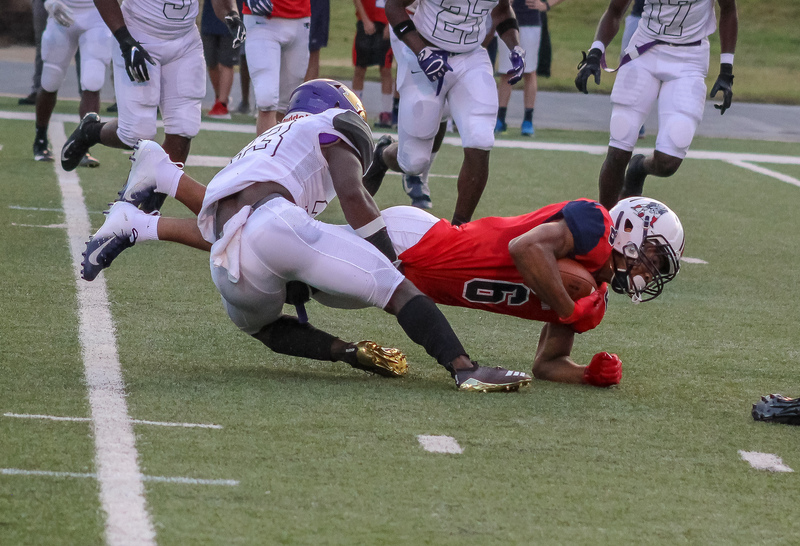 The quick score was setup by a Hueytown fumble inside the Patriots 10 yard line. 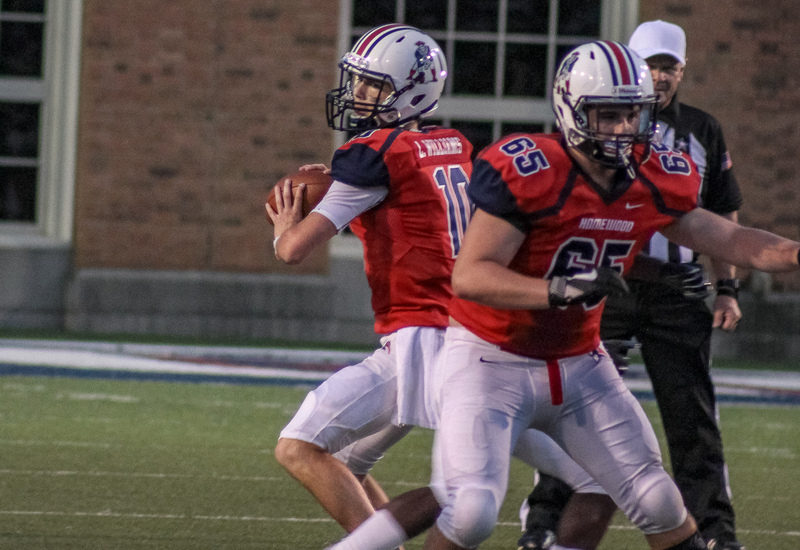 The Patriot defense held the Golden Gophers to 46 yards of total offense in the first half, carrying an 18-0 advantage into the break. 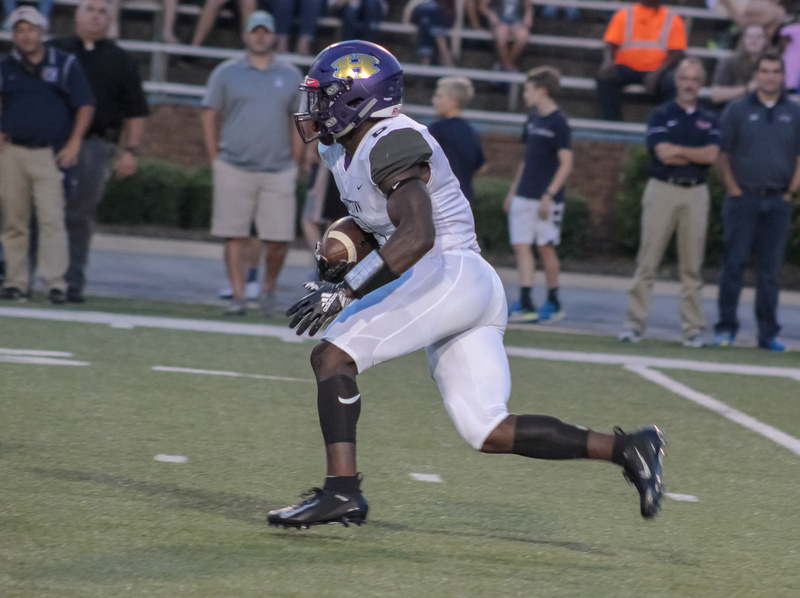 The Gophers lone score came two minutes into the fourth quarter, following a Larkin Williams interception, Hueytown quarterback Reid Lafoy hooked up with Roydell Williams for a 28 yard score putting the visitors on the board 18-7. 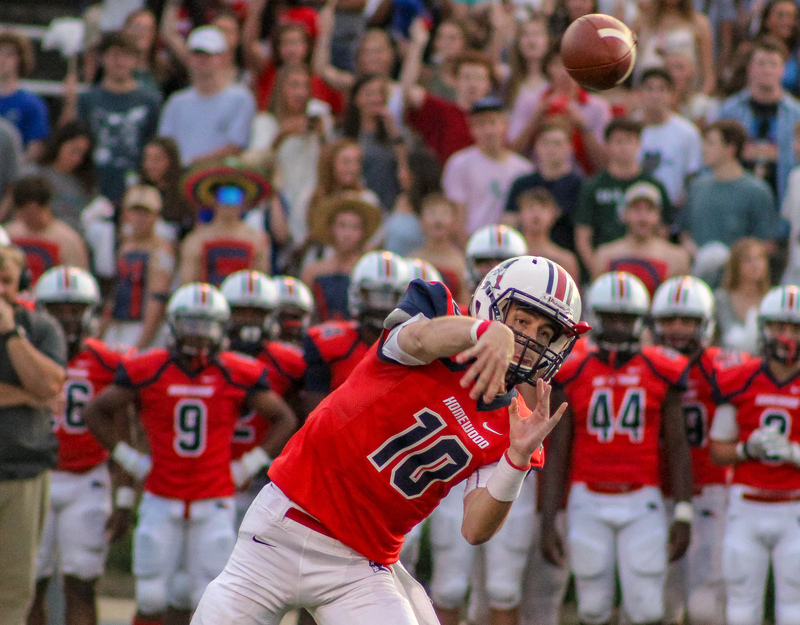 Homewood quarterback Larkin Williams finished the night completing 19 of 34 passes for 289 yards with a score and one pick. 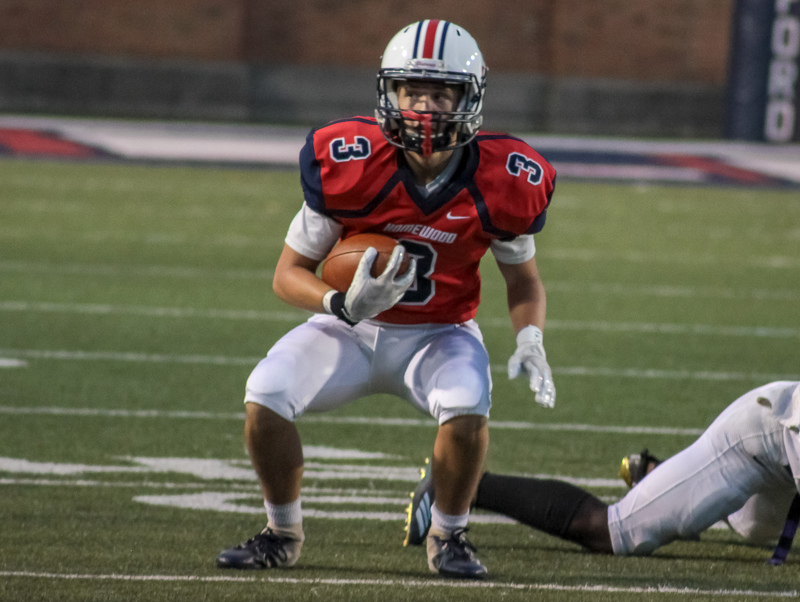 Trae Ausmer hauled in six catches for a total of 151 yards including a 82 yard touchdown reception. 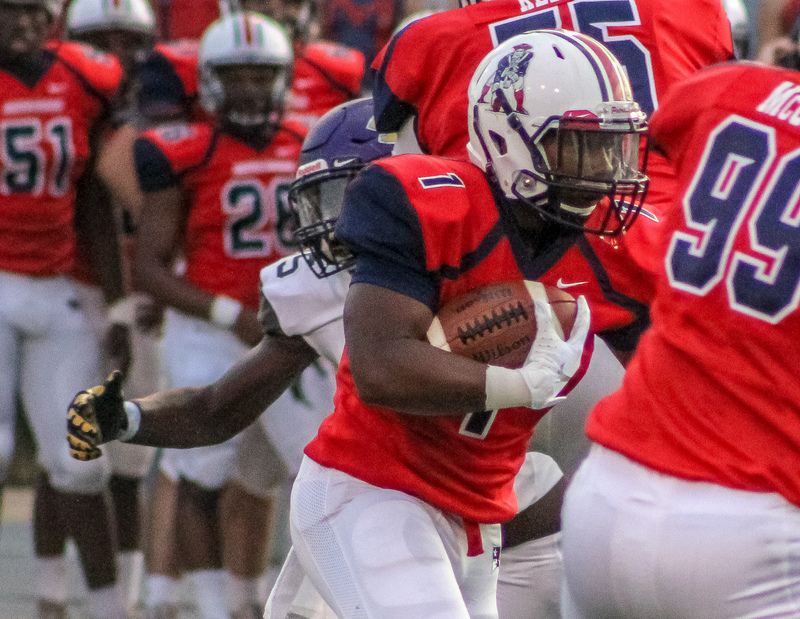 Runningback Khardi Dalton lead the Patriots on the ground with 72 yards on 17 carries. 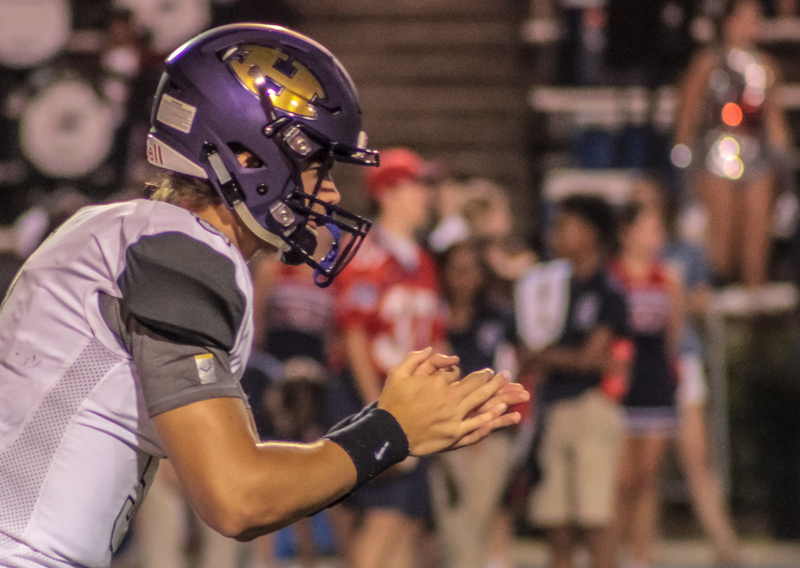 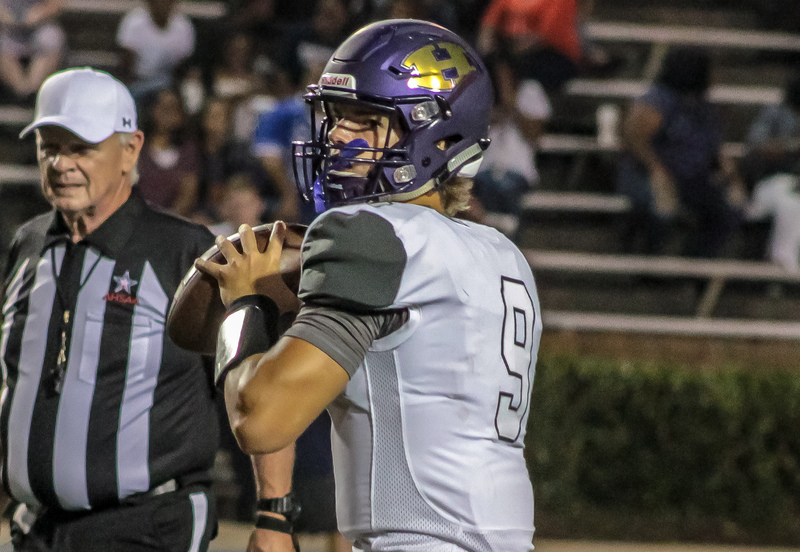 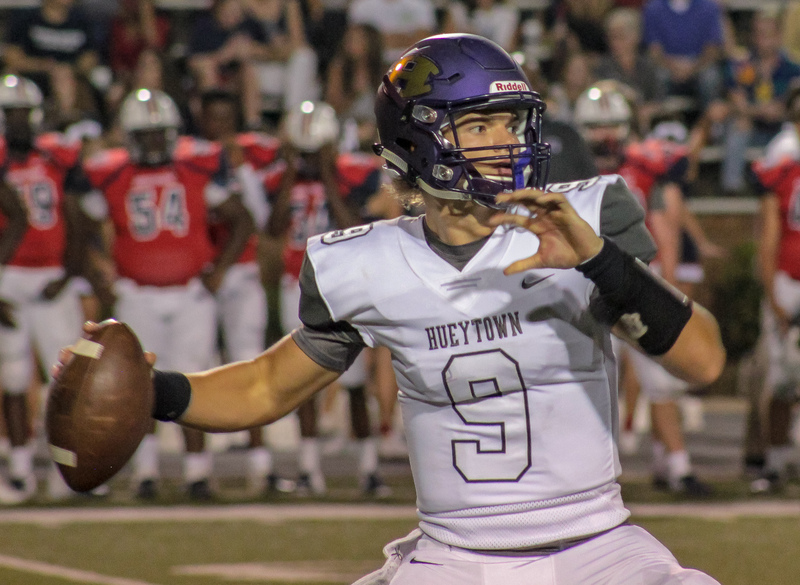 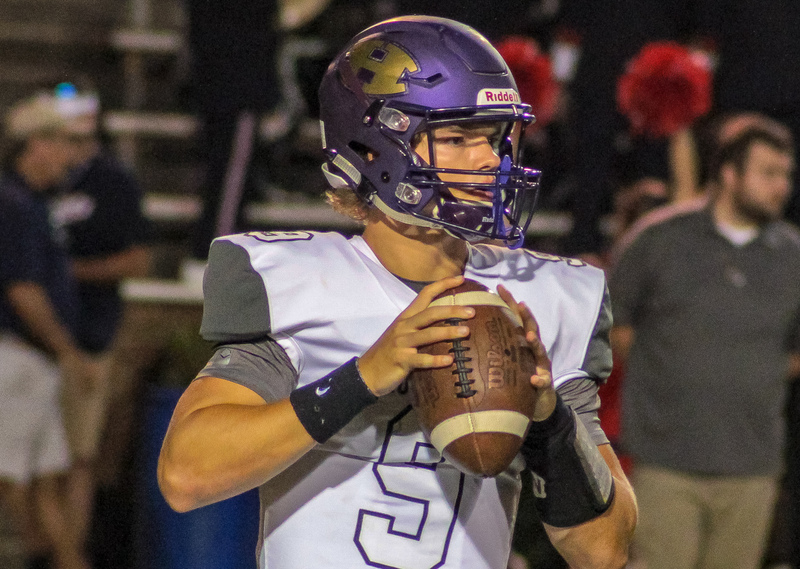 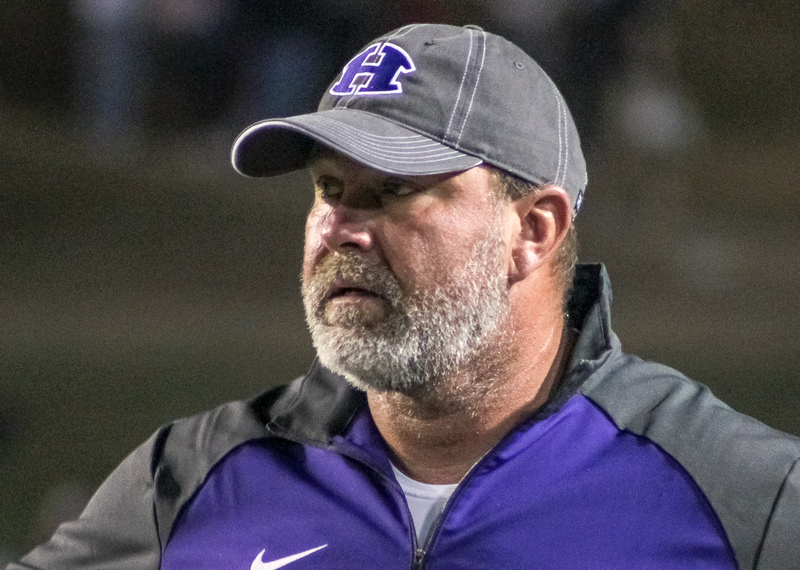 Hueytown signal caller Reid Lafoy passed for 184 yards on the night, connecting on 15 of 34 passes while tossing a touchdown pass and a pair of interceptions. 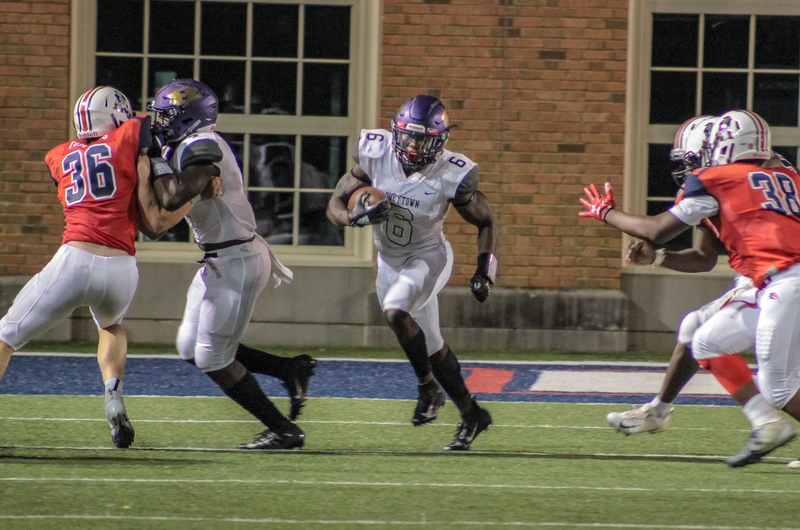 Junior Roydell Williams capped the game with 51 yards rushing and 127 yards through the air on seven catches and hauled in the Gophers lone score of the evening. 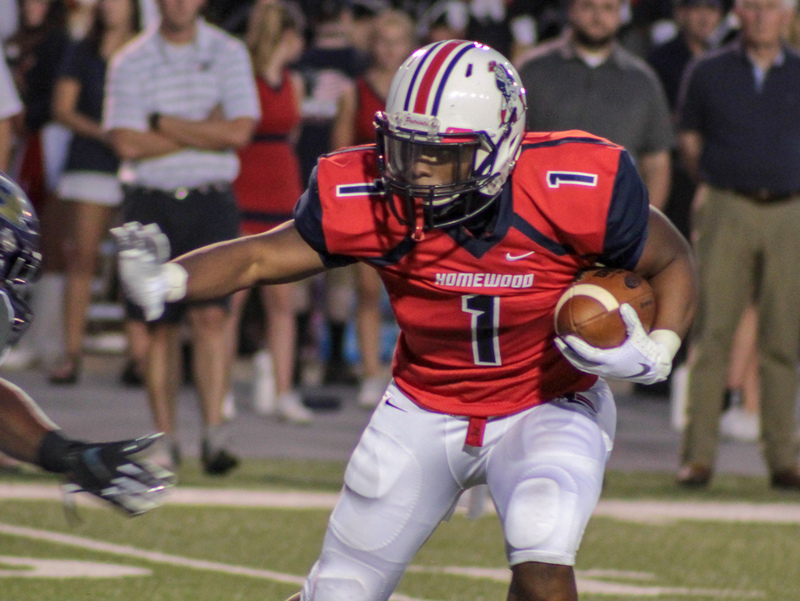 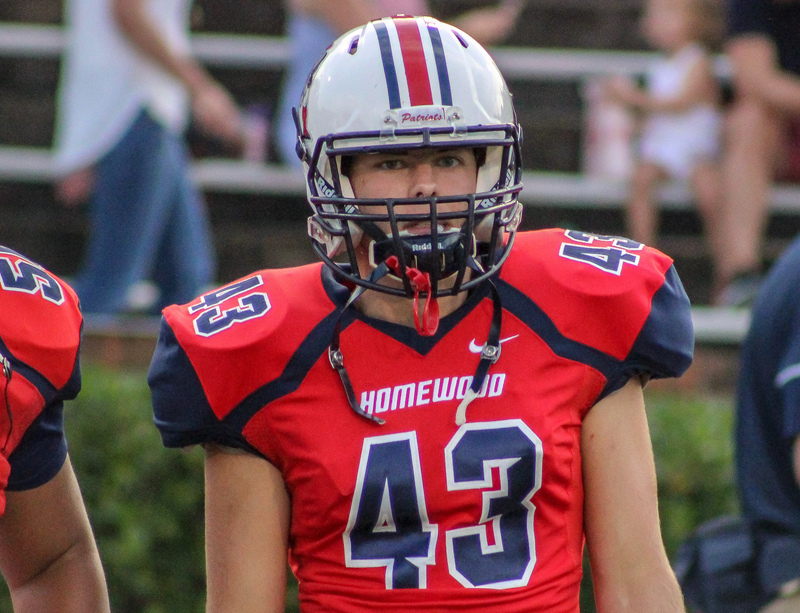 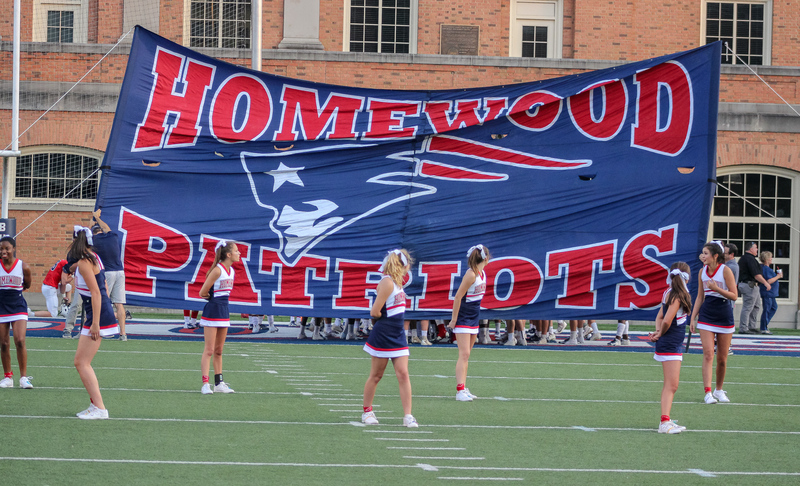 Homewood takes on Over the Mountain rival Vestavia Hills next Friday night on the road at Thompson Reynolds Stadium. 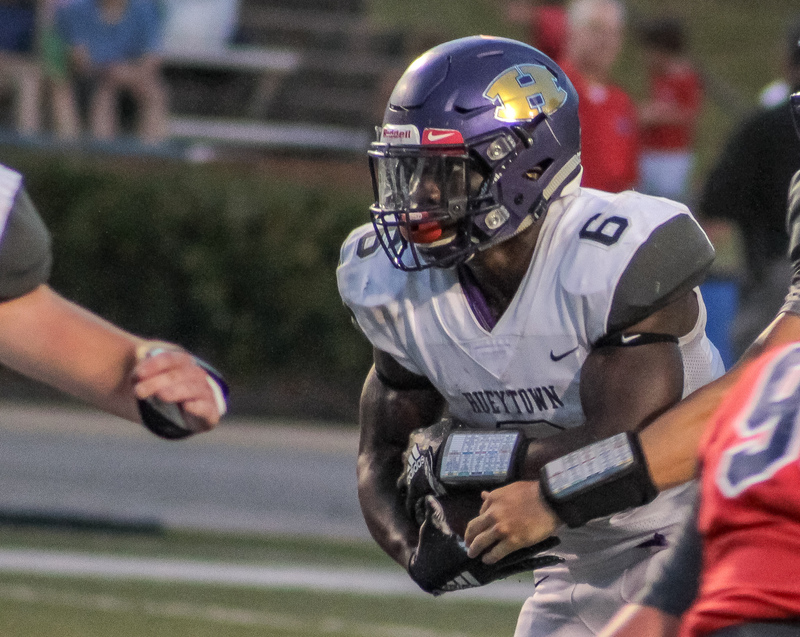 Hueytown travels to Shelby County to face the Helena Huskies.